Healthy Living requires healthy eating. Healthy eating means access to fresh and nutritious foods. Now we’ve heard the complaint – and in many cases it’s true – healthier can be very costly. 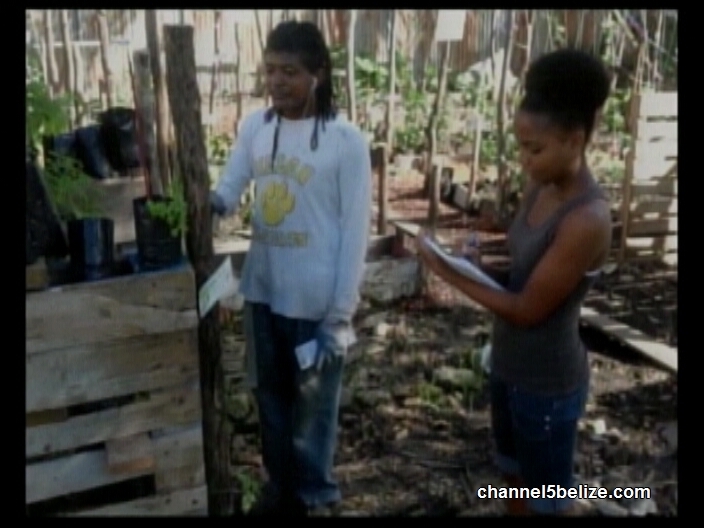 That’s why in tonight’s segment, we visit a young man working to start a movement of urban gardens in Belize. The approach though is more than just planting of tomatoes in your backyard. 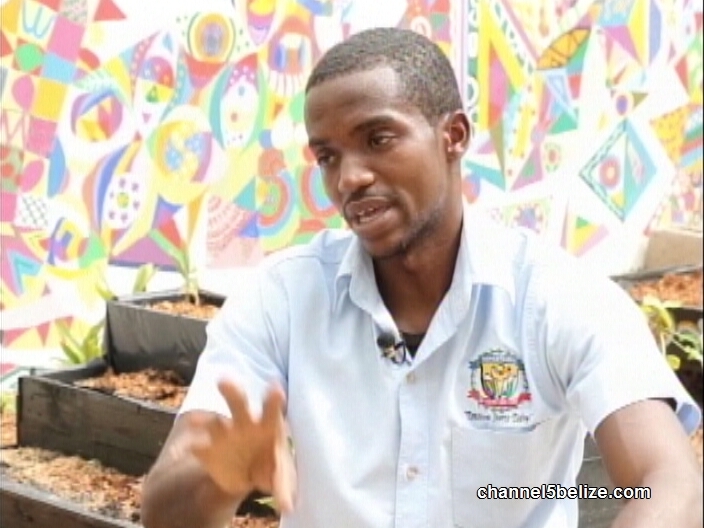 We visit the Department of Youth Services to find out more about Belize Perma Kulcha Academy. This bright colorful corner in downtown Belize City could easily be dismissed as a part of the décor of the Department of Youth Services. But this multicolored nook is the designated space of Belize’s first Sustainable Commercial Urban Farm Incubator. A very complicated title to encourage a very simplistic practice – sustainable farming – specifically farming smack in the middle of urban spaces. 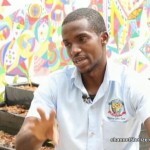 Kadeem Bennett is the president of the Belize Volunteer Club, the group that manages the Perma-Kulcha Academy. 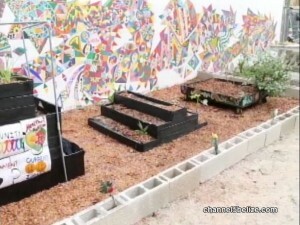 The Volunteer group has already assisted in establishing Belize’s first community urban garden on Zericote Street in Belize City. 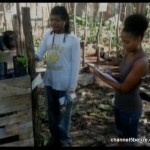 The project was done in conjunction with other organizations; but that experience prompted Kadeem and his group to work on building a base of young trained organic farmers. The students then put all the theoretical knowledge into practice with their seedlings and once those are thriving; they will be replanted into the incubator. The trainees are also learning the basics of healthy eating – with the hopes that someday they’ll prepare food with the produce they have grown. You can find out more about the PermaKulcha Academy by finding them on Facebook or drop by the Department of Youth in Belize City to find out more. Now this program makes sense. Pro-Organic Belize meeting. Meetings are held at Maya Mountain Lodge in Santa Elena Cayo on the first Thursday of each month. We will buy you a nice lunch from Nature’s Kitchen cafe at Maya Mountain and can help with bus fare if needed. Teachers Picket Outside B.N.T.U.’s Meeting with P.M.